A longtime consultant to PHR on the persecution of minorities in Myanmar, Dr. Parmar traveled with a PHR team to Bangladesh in late 2017 and early 2018 to document the injuries suffered by Rohingya refugees driven out in a murderous campaign by Myanmar authorities – her second research on the topic. 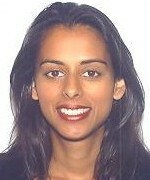 Dr. Parmar had previously worked with PHR to conduct a population-based study of residents of Chin State, Myanmar, which quantified the prevalence of human rights violations inside Myanmar and was presented to members of the UN Human Rights Council, the United Nations High Commissioner for Refugees, the International Labor Organization, and the International Committee of the Red Cross. In collaboration with Community Partners International and community-based ethnic health organizations in eastern Myanmar, Dr. Parmar has studied health and human rights violations before and after the country’s political transition. She designed and taught an innovative course on field research methods in a humanitarian crisis, which allowed Harvard School of Public Health students and Burmese refugees to learn research methods collaboratively in a Thai refugee camp. Dr. Parmar has also studied access to health care of Burmese refugees in New Delhi and is currently working to understand health access among refugees living in Boston. Dr. Parmar’s work also includes a study on sexual violence among refugees and host populations in Eastern Cameroon in collaboration with International Medical Corps. She is currently developing initiatives to support the health of communities impacted by climate change in rural Madagascar. In her work as a research consultant with the International Rescue Committee, she studies non-communicable disease among refugees in the Middle East. Dr. Parmar is a graduate of Stanford University, received her medical degree from Northwestern University, and completed her emergency medicine residency and served as chief resident at the University of California, Los Angeles/Olive View UCLA Emergency Medicine Residency Program. She holds a Masters degree in public health from Harvard University. She served as an assistant professor at Harvard Medical School in the Department of Emergency Medicine, Brigham and Women’s Hospital and Director of the Brigham and Women’s Hospital International Emergency Medicine Fellowship.